Solar power has been around since the 1990s. 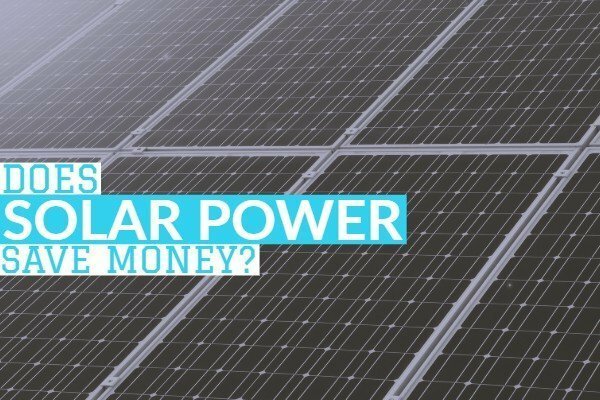 Since then, more and more people are realizing that solar power saves money. In this article, we’ll explore 3 examples: solar homes, solar cars, and solar powered GPS units. Firstly, we’ll look at solar homes. This is a more consumer-oriented example. In fact, there are tonnes of YouTube videos and articles on solar homes. Solar homes are houses that run directly off solar power. Solar homeowners found that they saved significantly on electric bills after installing solar panels. To illustrate, look at an extreme example in Kingston, Ontario. Queen’s University built a home called Queen’s Solar Education Centre. This home completely sustains itself. For instance, it uses solar power for appliances and it collects water through rainwater. In other words, The Solar Education Centre proves that people can replace expensive utility bills with natural alternatives. Another example are solar vehicle appliances. Similarly to solar homes, some people install solar panels on their vehicles to power appliances. Solar vehicles are particularly popular in fleet management. Solar panels reduce fuel usage and saves money. According to research, solar panels reduce fuel by about 16% for idling vehicles and reduce fuel by about 3% for driving vehicles. Lastly, we’ll look at solar powered GPS appliances. Fleet usually use battery or solar powered GPS appliances for tracking trailer assets. Recently, more fleets are switching from battery to solar powered GPS. Why? Fleets need to recharge battery powered GPS trackers every few weeks. In comparison, solar powered GPS lasts several months before recharging. This is significant for optimizing fleet operations. Fleets noticed a slight productivity improvement with solar power because trailers stayed on the road instead of returning to the shop for recharging. A solar power myth is only environmentalists use solar power. That’s wrong. Although solar power is good for the environment, more people and businesses are using it to save money.